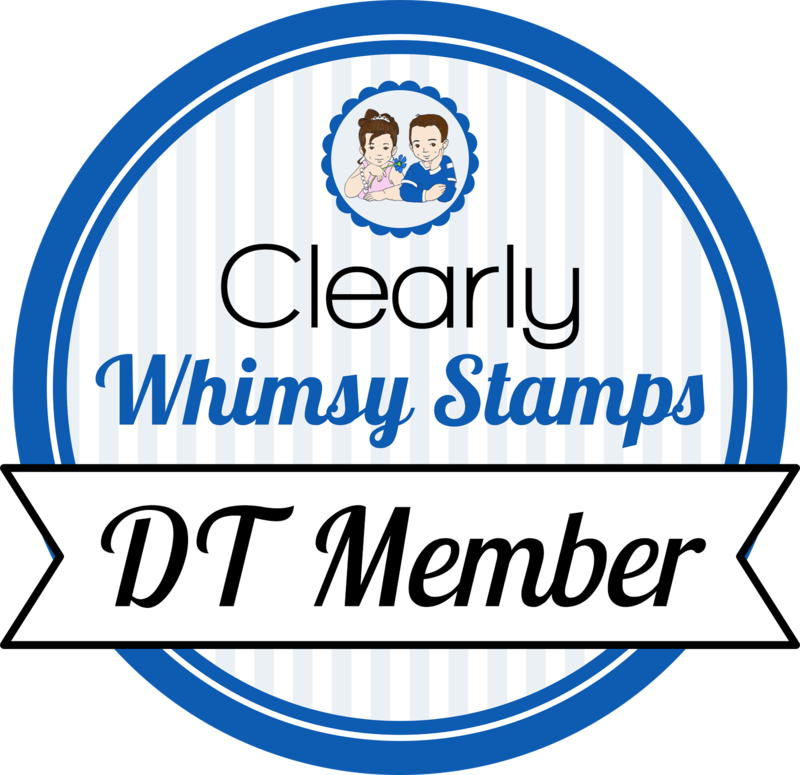 It's Friday again, and here is my sample for this week's Stamp Something challenge. Emily gave us a sketch to use, and let me tell you, it was way easier than the last sketch challenge! I will definitely use this one again, thanks Emily! I started with a 5 x 5 square card base, and layered on a square of rose red dsp matted on ww. I attached the celery strip with brads, and tied a black grosgrain ribbon across the top. The main layer was stamped with the sentiment, I added piercing, and attached it to an olive mat with dimensionals. I attached two Flower Fusion flowers together with a rhinestone brad and adhered it to the main layer with mono multi. Thanks for stopping by! Sorry I've been a bad blogger, it's been a busy week. Another wedding and my niece's graduation party are on Saturday, so I spent a lot of time this week baking cookies for my part in the party. I've got to get busy on some more swap cards next week. Fabulous card, Becky! Great layout, and I love the piercing and the felt flowers! Super sweet...I love the touch of the flower fusion flowers...perfect! Beautiful card Becky!!! I love the paper piercing:)Such fun and cheery colors! This is fabulous! I love the layout, the colors and all the little details. Holy Moly! Can you say fabulous??! I'm SO getting those felt flowers before they are gone! Way to go Becky! Becky, this card is just gorgeous! I love the piercing around the happy birthday. Fantastic color choices too! This is so pretty Becky!! Super cute Becky! The felt flower and the piercing are so awesome! I love the way you rocked the sketch with this card, Becky! Classic clean and simple done beautifully! I love the rhinestone and felt flower together. Fab card hope you enjoyed the party! 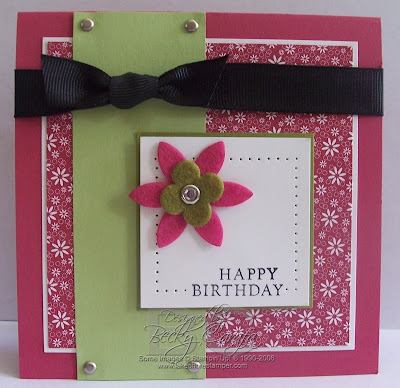 Great card...love the black ribbon and the paper piercing on the square! Awesome card!! I LOVE it!! :) TFS!! This is fabulous Becky....wonderful take on the sketch! I've been a bad blogger too - now Tony is home, don't have much time to do anything!